March is Women’s History Month, celebrating the accomplishments and contributions of women around the world. 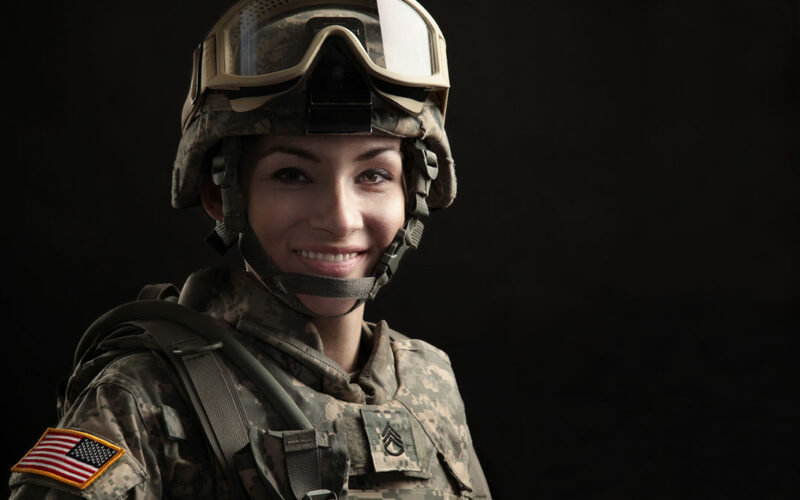 Women have been especially influential in the military, even before they were allowed to serve in uniform or in combat roles. Throughout our history, women have served as nurses, spies, messengers, pilots, engineers and everything in between. With each new accomplishment, they opened the door for more women to serve their country. Ann Dunwoody was born to an Army family at Fort Belvoir, Virginia. She hadn’t originally planned on following in her father’s footsteps, but she decided in college that the military was the right path for her. That would be a historic choice for Dunwoody, as she would go on to become the first woman promoted to the rank of four-star general in the U.S. military. Grace Hopper was a woman far ahead of her time. Hopper left her job teaching at Vassar College in 1943 to join the Navy WAVES (Women Accepted for Voluntary Emergency Services), where she made monumental contributions. She worked on early versions of the computer, leading the way for military technology development the world had not even dreamed of. She even coined the term “bug” to refer to computer glitches. Elsie Ott, a nurse during World War II, cared for patients on the first intercontinental air medical evacuation. For six and a half days, Ott tended to illness and injury while taking careful notes on how to best care for patients in the air. Her work and observations paved the way for medical evacuations going forward. Because of her heroism, Ott was the first woman to be awarded the United States Air Medal. History was made as the 116th Congress was sworn in and the number of female veterans in the House and Senate grew. Seven of the women in Congress are military veterans – Reps. Chrissy Houlahan, Tulsi Gabbard, Mikie Sherrill and Elaine Luria, and Sens. Tammy Duckworth, Joni Ernst and Martha McSally. Of even more note, Sen. Duckworth is the first female double amputee to serve in Senate, giving her a clear understanding of the trials faced by wounded veterans. Sen. McSally also holds a “first woman” title as the first woman to fly in combat. Women have only begun accomplishing incredible feats both in uniform and in their civilian lives. Share this post to celebrate Women’s History Month and the female veterans who make our country great!